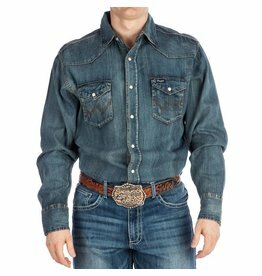 The Cowboy Cut® collection features only the best, like this antique wash denim Western work shirt. Authentic Western front and back yokes and two authentic Western spade flap pockets with snap closures. THE ULTIMATE RIDING JEAN JUST GOT EVEN BETTER. The newest Q-Baby styles from our Ultimate Riding Jean collection feature Booty Up Technology, specially placed darts that lift and define your rear view. 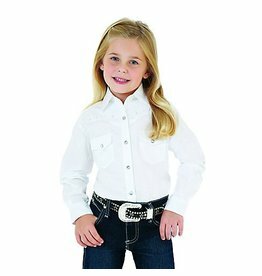 Your little girl is sure to stand out in this white shirt with floral embroidery and rhinestone details! 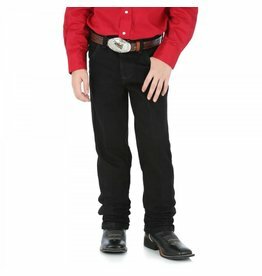 Dress up your little cowboy with this western staple piece! It's a denim shirt that's designed to delight. 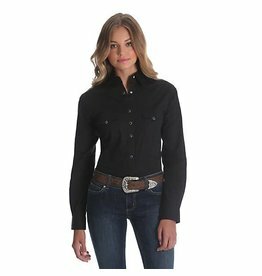 The perfect shirt for showing - especially for western dressage. 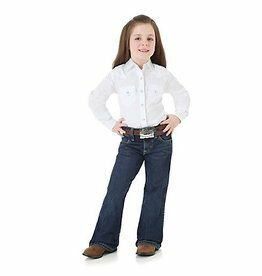 Comfortable, modern style perfect for your little girl. 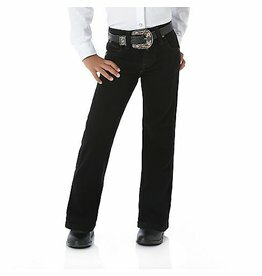 The ultimate riding jean for your little girl! 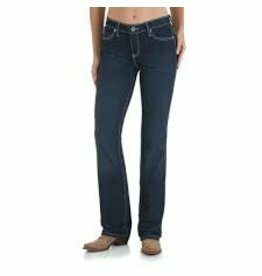 High-quality denim and premium details are the staples that make these jeans so popular. Whether he's working hard or hardly working, you've found his new go-to style. 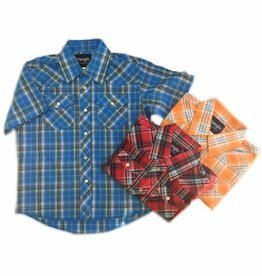 A crisp, fun plaid top perfect for anything from shows to country concerts!